Two summers ago, our family went on a 9-day cruise on the Baltic Sea, stopping in 6 different cities. As cruises tend to go, we were only able to spend a day in most of the cities, so this series of posts is all about how we tried to make the most of the short time we had in each one! 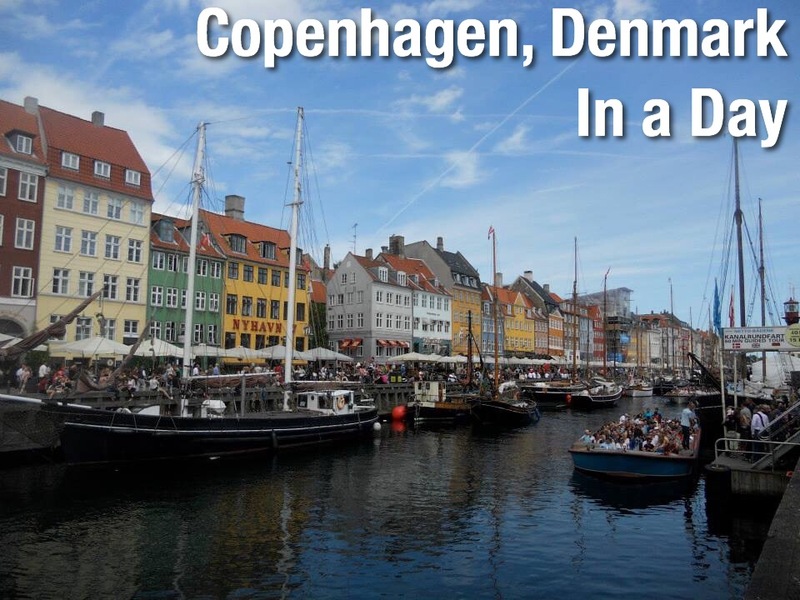 At the end of our Baltic cruise, we disembarked in Copenhagen, Denmark. Tired but ready to explore, we dropped our stuff at our hotel then took a train from the nearest station to get downtown. Once we made it downtown, we got on our final hop-on hop-off bus of the trip. And because we used the same hop-on hop-off bus in 3 previous cities during our trip, this one was free! Our first hop off of the bus was at Rosenborg Castle. This castle was originally built back in 1606 and now houses a museum where you can walk through the castle and see a collection of crown jewels. We skipped the interior but there was still plenty to see on the exterior. The grounds around the castle have large gardens that we were able to meander through and explore. Next, as any good Disney lover would do, we had to make a visit to the Little Mermaid statue, one of the most notable attractions in Copenhagen! Since its unveiling in 1913 (long before the Disney movie was released in 1989), the statue has been vandalized multiple times and was even beheaded – twice! Fret not, the Little Mermaid has always been rescued and restored to her place to continue to welcome travelers to Copenhagen. Other stops on our bus route included St. Alban’s Church and Amalienborg. St Alban’s church was beautiful from the outside (we didn’t venture in because there was a service going on) and Gefion fountain, the largest fountain in Copenhagen, was right next door. The Gefion fountain depicts the Norse goddess Gefjun commanding four large oxen. As the story goes, she and her oxen created the island of New Zealand. Our next stop was at Amalienborg. It is the main residence of the Danish royal family and consists of multiple buildings surrounding a plaza with a statue in the middle. From the dock directly behind us, we took a boat tour throughout the canal to see and learn about the different residential districts, the opera house, and the Little Mermaid Statue from the water. It was fun to see the city from the water! Our final stop was to Tivoli, our favorite part of the day! This amusement park in the middle of the city is a must do for anyone who is a kid at heart. But that’ll have to wait for our next post! If we get the chance to go back, there are many more places we would love to visit in Copenhagen. At the top of our list is Christiansborg Palace (Danish Parliament and Supreme Court), the Round Tower (Rundetarn in Danish) and the changing of the guards at Amalienborg Castle (We missed it by mere minutes!). This entry was posted in Baltic Cruise, Copenhagen, Denmark, Europe and tagged Amalienborg, Baltic Cruise, Copenhagen, Cruise, Cruise Excursion, Denmark, Europe, Little Mermaid, Nyhavn, Rosenborg Castle, Schmahl World, Tivoli, travel. Bookmark the permalink.